The fun and peppy Fiat brand has been an Italian favorite that is now available in the United States and many other countries. The Fiat lineup of vehicles are compact and gather much attention on the road with their sporty and contrasting styles. The 2014 Fiat 500L is no exception as an SUV with robust styling and an urban flair for technology. Here are a few great reasons to own this vehicle along with a couple drawbacks that may be improved over time with changes. The new Fiat 500L model offers a marked improvement in performance from the previous year's model. The 5-liter, four-cylinder engine offers a base performance of 101-horsepower. An optional upgrade includes a 160-horsepower model with a five-speed manual transmission. While the horsepower at the base model may seem small, the nimble design of the vehicle provides strong power in stop and go situations. Maneuverability is a unique feature of the 2014 Fiat 500L. The smooth shifting of the transmission and go-cart like frame of the vehicle allows the car to hug the road very tightly. Turning is very quick and responsive. The vehicle has the capacity to dart in and out of lanes quickly, making this vehicle highly manageable in and out of the city. The 2014 Fiat 500L is compact SUV that gets more road mileage than its competition. At 31 MPG in the city and 40 on the highway, it brings an incredible range for a turbocharged vehicle. The gas mileage is competitive with more complex hybrid-electric models on the market. The Fiat has a class brand of European styling. The front grill and smoothly sculpted headlights provide clear front visibility and a unique style that is clearly European. It has a retro feel that continues into the interior of the cabin as well. Contrasting tones of color and an optional roof package make even the most utilitarian features appear unique and well-designed. While the vehicle may possess a sporty appeal, it doesn't lack in comfort in the front seats. Integrated heated seats and steering-wheel controls make driving a pleasure in all types of weather. The dashboard of this Fiat is what defines European style and speedy deliver of technology for this brand. The Uconnect audio system features an impressive touchscreen display with voice activated technology for commanding audio controls and dialing calls. The 5-speaker system provides immersive surround sound in a small package as well. The vehicle features a reliable brake assist and electronic stability control system for straight performance on the road. Integrated turn signal mirrors allow ample visibility for cars in other lanes to notice a change of departure. The 2014 Fiat 500L also features side air bags in addition to driver and passenger air bags. The 2014 Fiat 500L features a manual 5-speed or automatic 6-speed transmission. Shifting is very smooth for the style of the vehicle. When coupled with the 4-cylinder engine, it proves itself in reliability by reducing lag time between shifts. Acceleration is slow at first due to the lack of horsepower, but the clutch engages with the engine quickly in the manual. It is also surprisingly quick with the RPMs in the automatic transmission as well. The Fiat 500L makes use of interior storage space slightly more efficiently than competitors. This is made possible by the completely flat lowering of rear seats and additional trunk space in the cargo area. Adjustable cup holders and several storage compartments in the front of the vehicle holds all the small knick-knacks as well to reduce clutter. The 2014 Fiat 500L is a great alternative to the MINI Cooper. 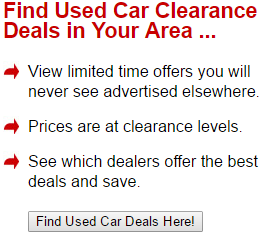 It offers similar handling and style at a very reasonable price. The MSRP rating ranges from $16,195-26,195 for all models of the Fiat 500L. This economic alternative provides all the features and more in one package of a sporty subcompact SUV without the sticker shock. The steering is a hit and miss with several drivers. The electronic power steering system is agile, but lacks response at the base level. Luckily the in-dash sport button increases maneuverability dramatically. The vehicle is slightly top-heavy and may cause the body of the vehicle too jarred or jerky when turning. The cramped rear seats and raised end of the rear of the car can sometimes make it difficult to view in the rear as well as plan for cargo. The 2014 Fiat 500L is a uniquely styled vehicle that offers a European flavor at an attractive price. The quirky handling is something many drivers have to get used to. However, it makes up for that in the many features that provide a unique and comfortable ride at an affordable price. 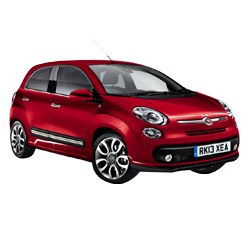 Test drive one of these today and experience the excitement of Fiat.